Okay, the little added pressure from yesterday sure worked. I got super busy today! Not only did we have a wonderful lunch with my mother-in-law, I also got some of my to do list completed, almost! I worked on the canvases that I posted about last week. Only one more to go and I can show you the series of nine. I have hung the canvases up already and I am loving it. Can’t wait to share it with you. We also did a little baking. Kiddo’s birthday is a week away and I wanted to practice making her cake. Practice? 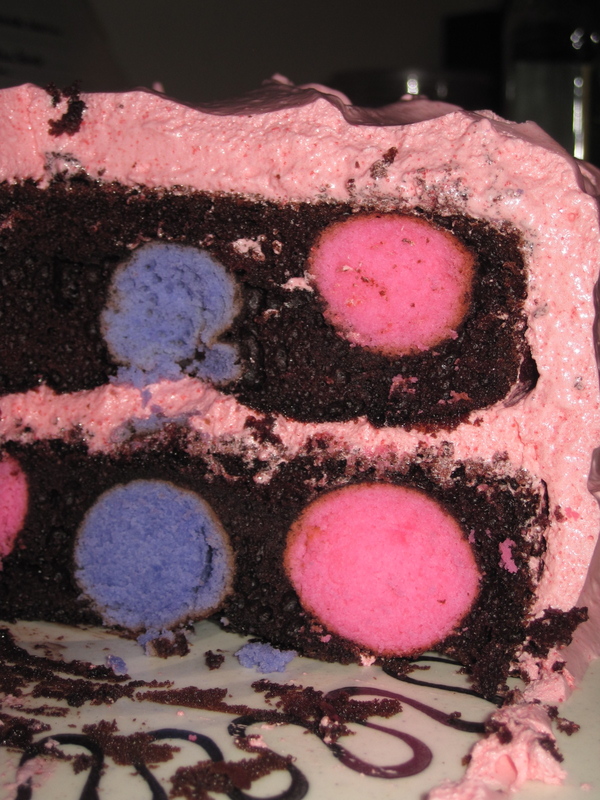 Yep, because I never take the easy route, like baking a “normal” cake. Truly it would make life easier, but that’s not how I roll. 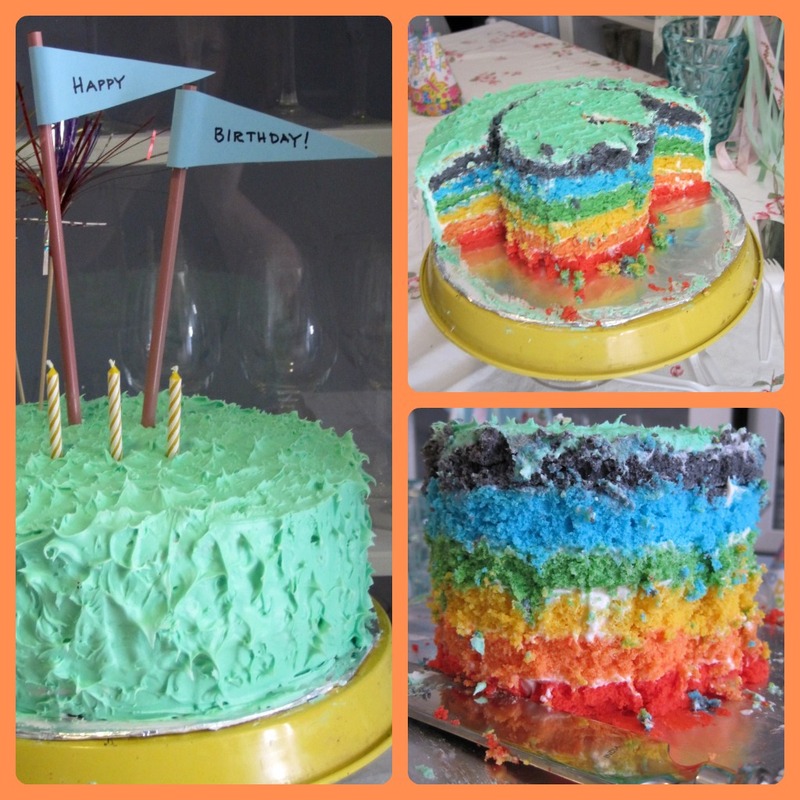 Last year, I made the seven layer rainbow cake. It was awesome! The kiddo’s faces when we cut it open- priceless! So how could I go from that to normal? Can’t. So this year it’s all about pok-a-dots. I was so happy it worked! Now this is easy to do, but it takes forever! Really hours. But it’s so worth it right? Of course I wish this was my ingenious idea, but nope it wasn’t. Found the cake idea at Once Upon a Pedestal, you can see her awesomeness here. 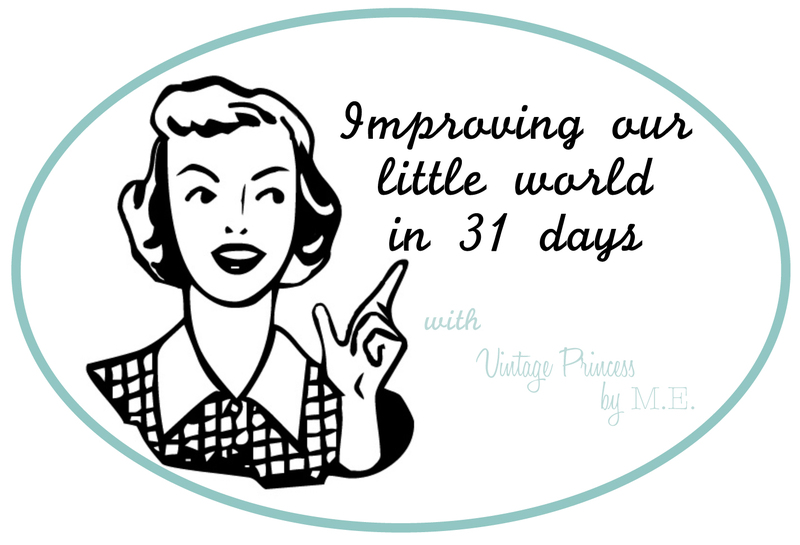 Posted in 31days, creating, life in general	31 daysBakingPinterest did it!